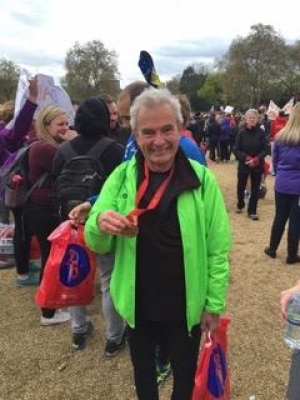 Peter ran the London Marathon again this year, this time in 3 hours 51 minutes and 51 seconds and came 10th out of 151 runners in the male 70+ age group. That’s about 14 minutes faster than his time last year. And he raised £588.50 for Ellie’s Haven - very well done!